As a 28 year old, senior, transfer student I found UMW an absolute waste of time, money, and energy. This school is best-suited to 18 year olds with mom and dad paying the way. They wouldn't know what a real university is supposed to be like. Most of my credits would not transfer into my major (I came from a highly-respected Pennsylvania state university). Many of the classes I've had to take were useless and complete busy-work. Many of my professors, though willing to help, were pompous, arrogant, and perceived themselves as infallible. The administration office workers were consistently rude and condescending and most of the tuition seems to go to landscaping than into clean and working computer labs. Everything is overpriced and the school reminds me more of a business looking to make money then to educate. Also, if you're looking for friends who are sheltered, uptight, spoiled, and ultra-conservative then this is your place. 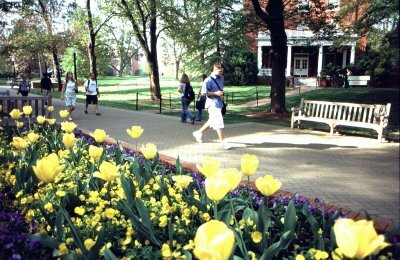 Look into other schools before UMW - ANY SCHOOL!